Why do Ta Ke Ti Na? Ta Ke Ti Na The TaKeTiNa Rhythm Process developed by Reinhard Flatischler is a unique transformational music learning process. Participants are guided into a state of rhythmic simultaneity, using polyrhythms and cross rhythms in the feet, hands and voice. Watch the new Youtube trailer HERE! 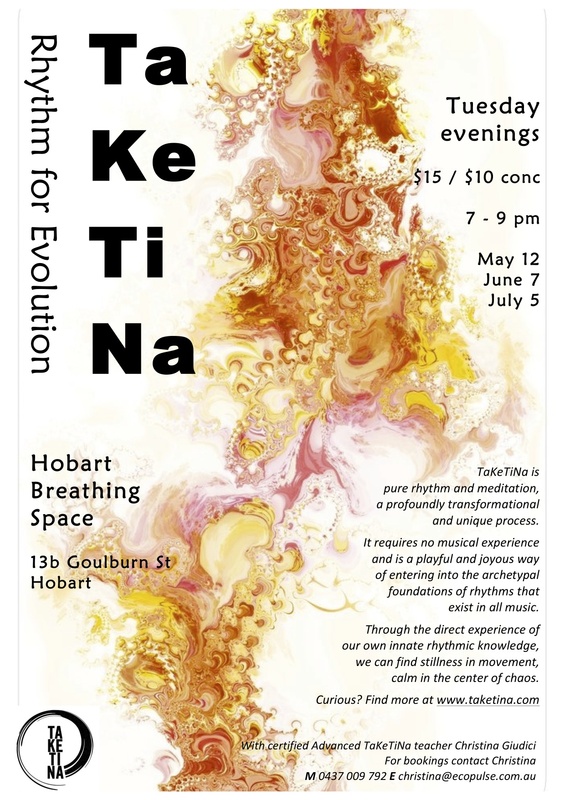 Although highly musical, TaKeTiNa is a deeply relaxing and meditative process that requires no musical experience. It accesses the body's intrinsic rhythmic knowledge in a safe and playful setting. "It is impossible to do two different movements simultaneously using only an active, controlled awareness. However if we allow one rhythmic movement to slip into a passive state we can deliberately, actively and analytically create a second layer that differs from the first. Here the conscious and unconscious levels meet. Chaos is a natural and vital part of the rhythmic process and performs the same role in human physiology. At certain intervals every organism falls from it's existing order into a state of chaos. The challenge in rhythmic chaos is to let go of control, to admit confusion. When we learn to drop out of the rhythm without panic, we find returning to it happens by itself".